Coaching a Girls on the Run/Heart & Sole site is one of the most rewarding volunteer experiences you can have! 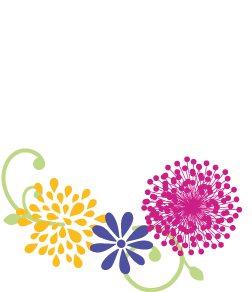 We at Girls on the Run are always looking for healthy minded, positive and FUN individuals to lead a team of a maximum of 12 girls for Heart and Sole and a maximum of 16 for Girls on the Run. Parents, teachers, school administrators, college students, runners, non-runners, and people who are committed to developing and celebrating our youth make great coaches! Coaches serve as role models and mentors for girls who participate at our GOTR sites in the Willamette Valley. 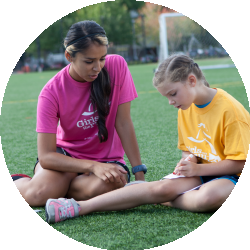 At each site, 2-3 coaches deliver the GOTR curriculum twice a week for 90 minutes. If you are passionate about the GOTR mission, committed to working with a group of girls throughout the 10 week season in the spring, and able to bring energy and joy to each practice, please join us! Spring Season is starting soon! The Willamette Valley GOTR spring season is right around the corner. Essential resources for our coaches are included below. We are now accepting applications for the 2019 Spring Season. Attend a mandatory in-person Coach Training and online assignments. One Coach must be at least 21 years old and must be female. Male coaches are welcome as assistant coaches. More information on coach requirements can be found in the Coach Application. Your application will be reviewed and you should receive an email confirmation shortly. Complete a half-day in person Coach Training and all online assignments. Co-lead curriculum lessons twice a week for 90 minutes for 10 weeks. Work together with 2-3 coaches per team. CPR/First Aid Certification required for at least one Coach.